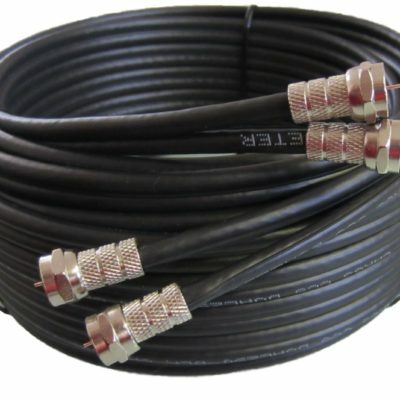 If you are looking at extending the wires from your satellite dish to your Sky box then a Sky extension cable is what you need to get the job done quickly and easily. Many Sky customers want to move or extend their Sky boxes to another place in the house but to do this you will need a longer length of satellite cable. One solution is to contact Sky where you will have to wait 4 or more weeks to arrange an engineer to visit your property but it will cost you at least £90 + call-out charges. This is usually a weekday appointment with an 8 hour arrival window given, so if you have to go to work, expect to book a day off and lose a days holiday. There is however a much better and cheaper solution to make your leads longer that will save you lots of money. It will involve a bit of DIY work but most people will be able to do it in a few minutes. The Sky Q box is the latest one on the market and is increasing in popularity due to its excellent new features such as pausing TV in one room and continuing to watch TV in another. The massive 2 TB storage capacity enables you to watch one channel, whilst recording another. Additionally with multi-screen you don’t have to worry about drilling extra holes because with Wi-Fi you can stream HD video from your main box. On the back of your sky box, you will see two inputs for the satellite wiring which feeds from your dish to the box. The first step to extend the existing cable. All you do is simply unscrew the existing connections on the back of the Sky box. Next we need to install our new length of cable. Our kits are ready-made coaxial wire which are joined very easily with the use of the joining couplers. 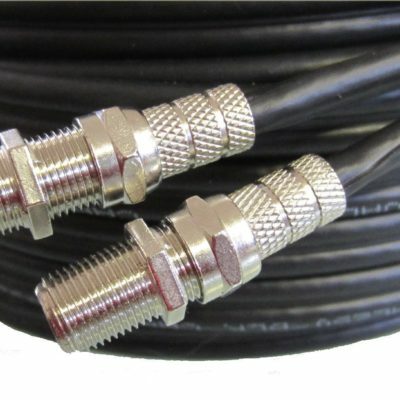 Once you have unscrewed the existing wires from the back of the Sky box, you then simply re-attach the male end of the cable to the female joining couplers, which you will notice are the same dimensions as the back of your Sky box. Once you have done that and you have your longer length of cable, simply re-attach the male end to the back of the Sky box. Once this is done “Voila” we are back in business and your Sky service will continue to run again as normal. Our cables are the same specification and quality as those used by Sky Engineers, so there is no loss of HD quality sound and picture. The kits we provide are available in an array of lengths including: 3m, 5m, and 10m. There is no requirement to make the extension cables yourself, as they are supplied complete and “ready-made”. Therefore there is no need for messing around with pliers and cutters. The cable consists of 1 cable with 2 feeds, so it is not a requirement to run 2 separate wires, you simply plug and play. We also include wall mounting clips to facilitate connecting the Sky cable to a wall. Why Choose Our Sky Cables? Our kits are an excellent and inexpensive solution to moving your sky boxes very quickly and easily and most importantly without the need for an expensive Sky Engineer to do it for you. It can easily be completed by yourself in minutes. 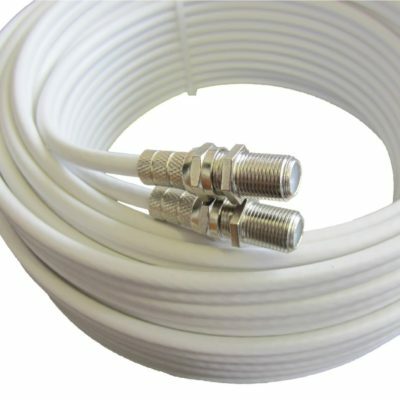 We stock the best quality twin cable, it is a very slim line and is not obstructive or unsightly in appearance. It can be run at different lengths including at lengths of over 200+ metres, without any loss of performance or quality. Many customers usually require the wiring because their existing cable is a little bit too short to reach where they have relocated their Sky HD box and our products provides the perfect solution for this. At 5starcables, we pride ourselves on providing a fast and speedy service of the shipping of these cables, this is a free and 1st class postage service within the UK. 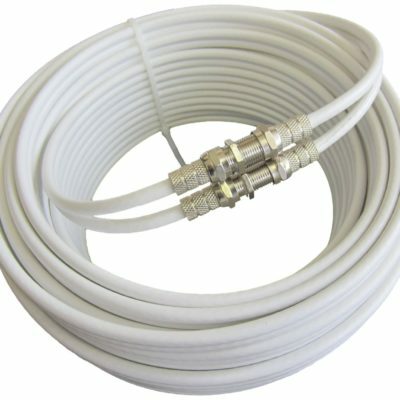 All items are usually shipped promptly on the same day so you will get your Sky extension cable in no time! We realise the urgency of getting our products to our customer as quickly as possible. 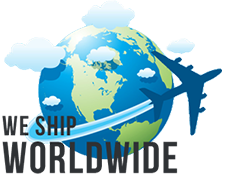 We can also accommodate our international customer including our shipping charges.